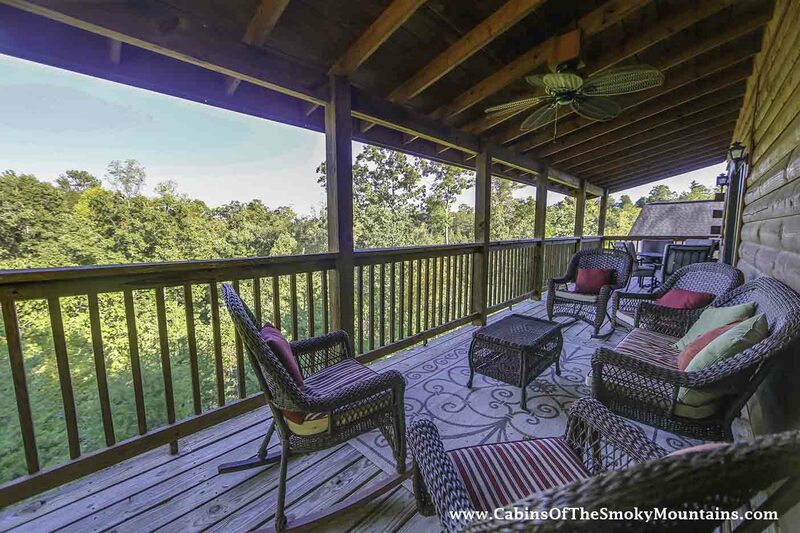 Autumn Breeze Retreat is a lavish wildlife retreat. 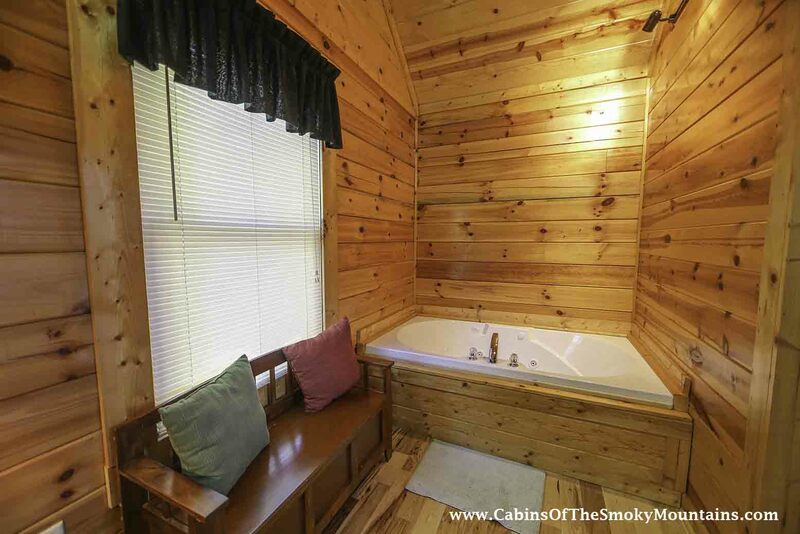 This two bedroom cabin can accommodate up to 6 people with two full bathrooms. 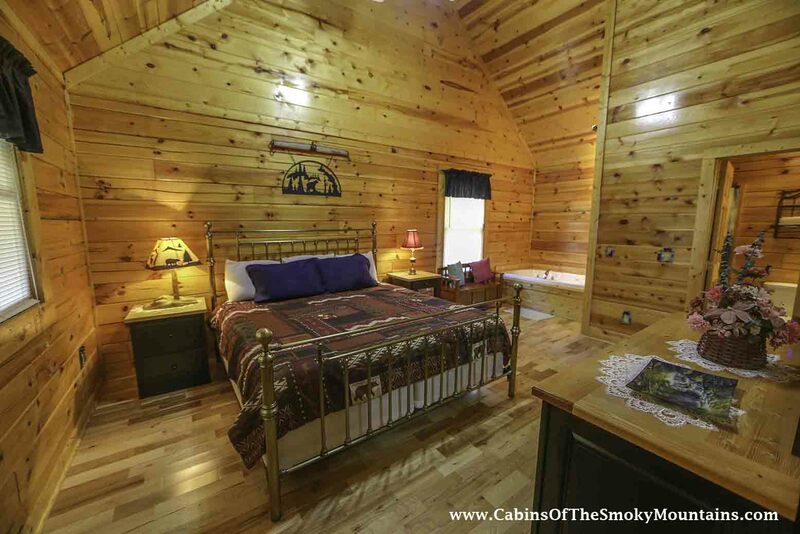 This cabin offers a queen sleeper where two more people can slumber. 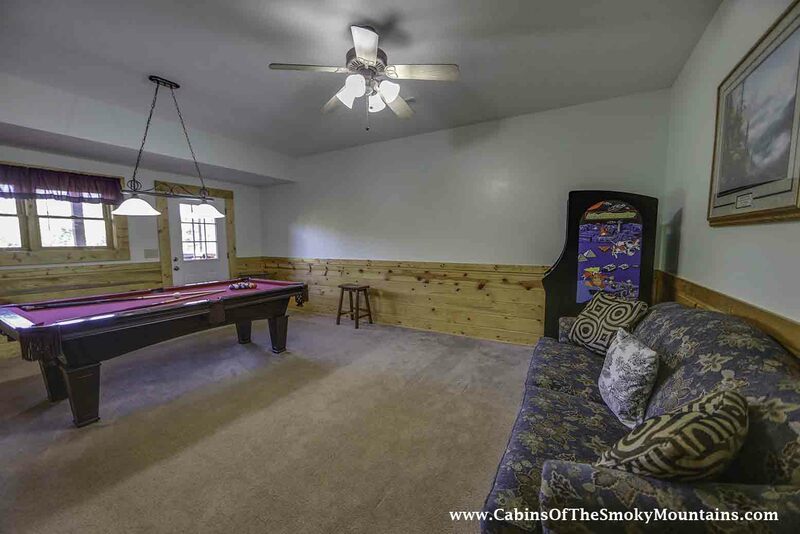 Located in beautiful Pigeon Forge. 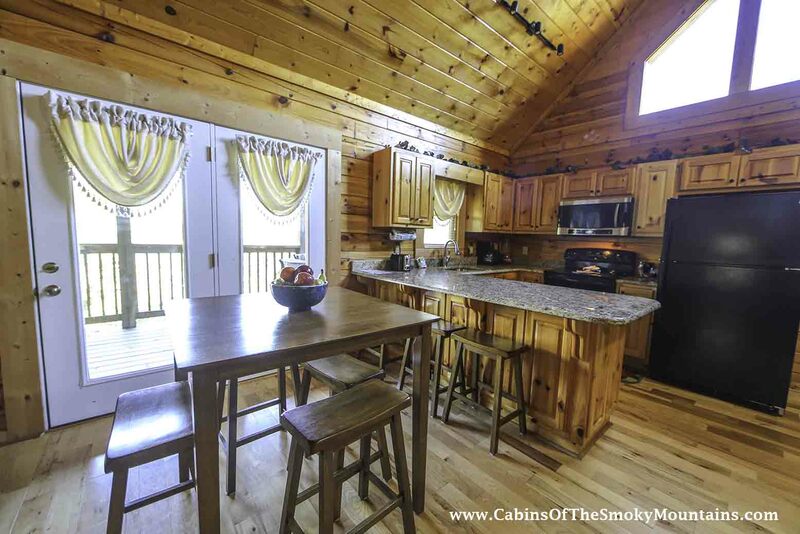 The Main level offers a fully equipped kitchen. 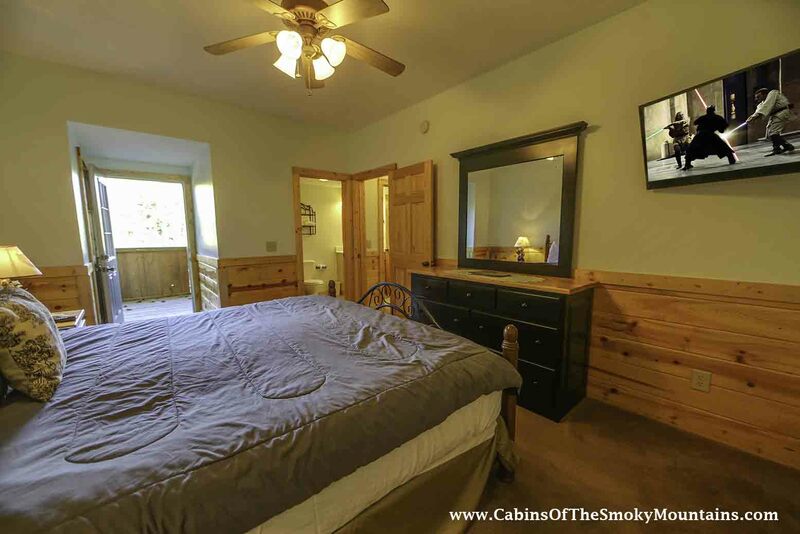 A king size bedroom with its own private jacuzzi tub where passion can bloom. 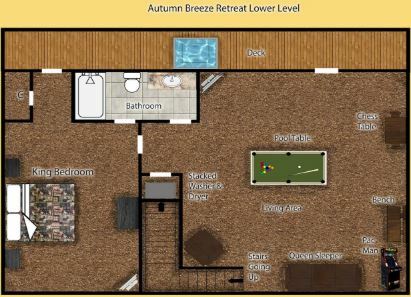 The lower level is where the fun is at. 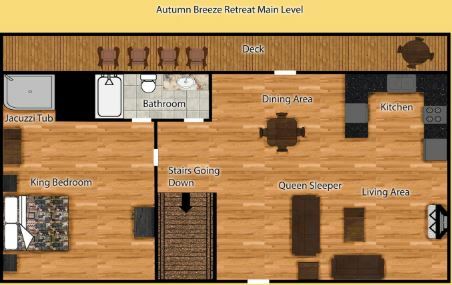 A king size bedroom with its own private entrance access to the deck. 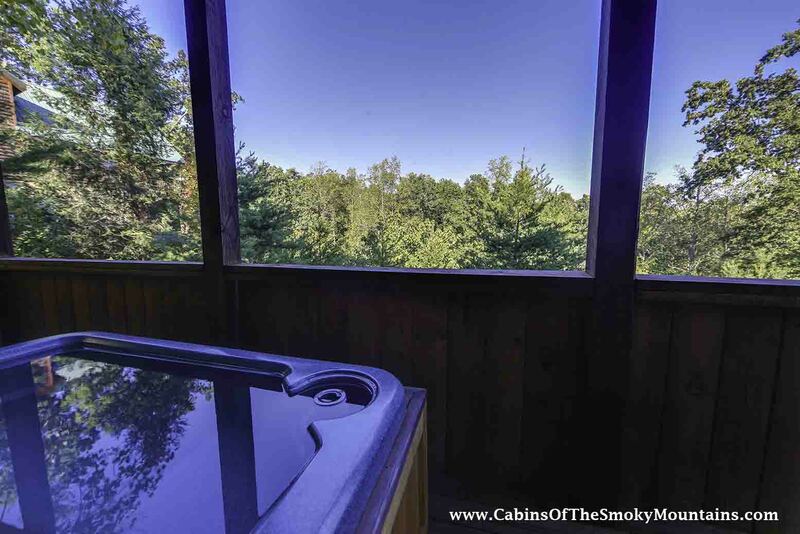 On the sylvan deck, remarkable views can be enjoyed while you unwind in the hot tub surrounded by the charming woodlands. 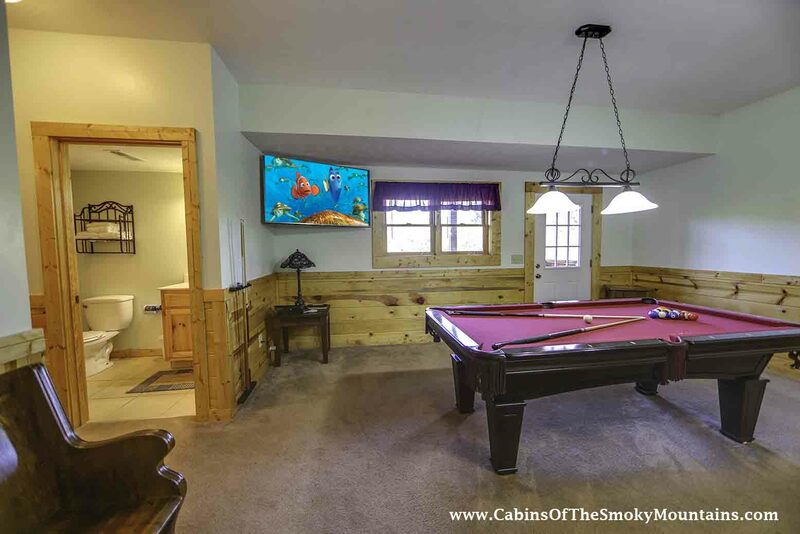 In the main lower level play a game of pool with family and friends or a favorable contest at a multicade arcade gaming system. 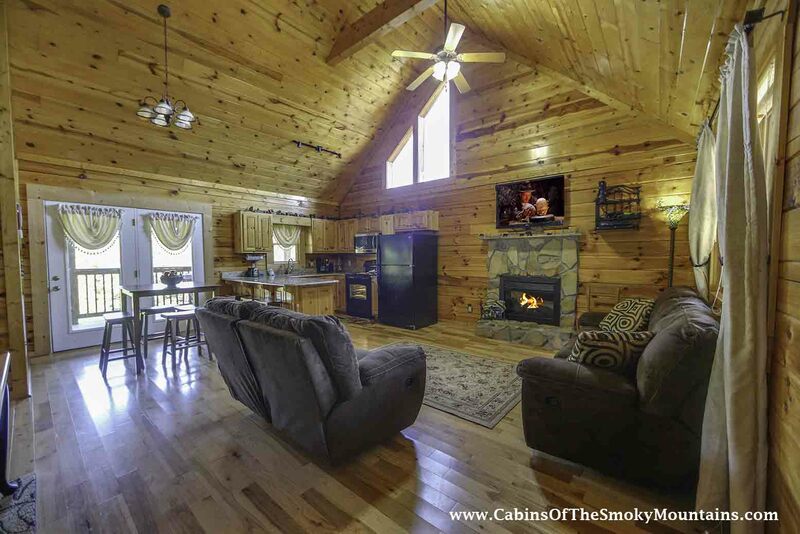 Worry-free with January piling up. 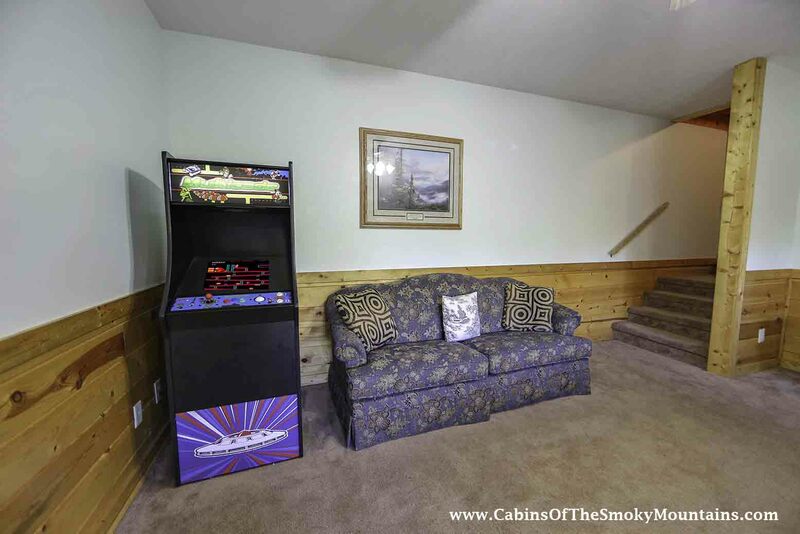 This cabin comes with a stacked washer and dryer located on the lower level. 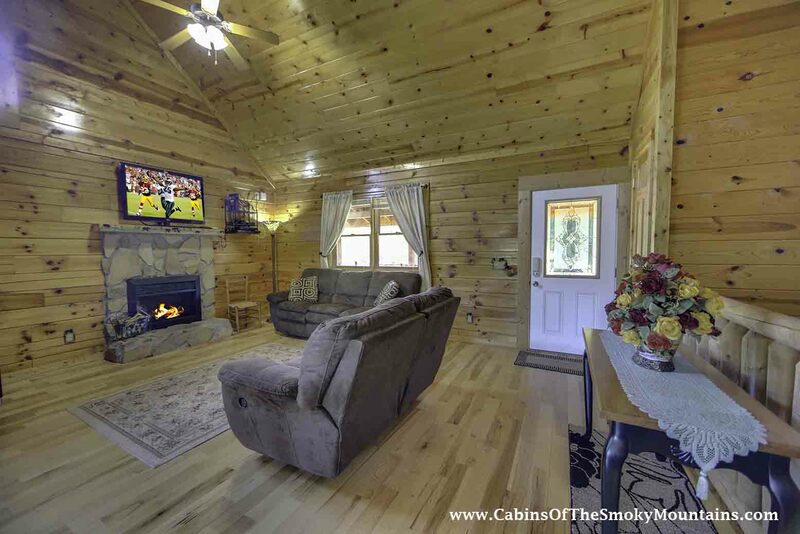 Autumn Breeze Retreat is an exquisite leisure cabin, generations of memories can be formed for years to come.